A comfortable, durable, and well-constructed roof safety harness is non-negotiable when it comes to ensuring work gets done safely. We know this, and that’s why we offer you such a wide range of roof safety harnesses to choose from. At Safemaster, we appreciate that this isn’t a one-size-fits-all matter, as the kind of work you’re doing will dictate the type of harness you need. 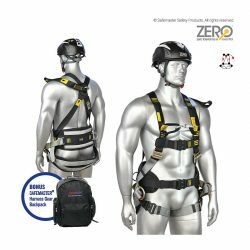 Roofer Harness – A comfortable and durable roofer harness that comes with attachment points both in the front and the back and is available in various sizes. Additionally, it’s available in push-through and quick connect buckles options. 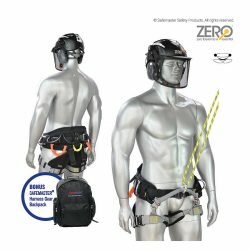 Tradesmen Harness – This fall arrest harness has front and rear attachment points with incredibly breathable panel to keep the harness in shape ready for easy fitting. 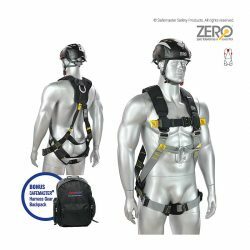 With its 3D mesh pads on the wide angled padded shoulder, this harness provides shoulder and neck protection and unparalleled comfort. 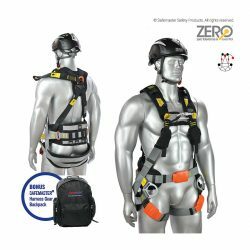 Construction Safety Harness – With various attachment points and 7 gear loops, this water and oil resistant harness is incredibly breathable to ensure that you’re kept dry and comfortable during long hours of work. 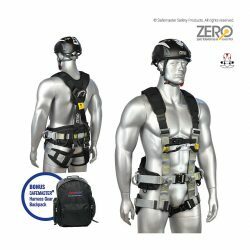 Providing both premium comfort and safety, this fall arrest harness is available in various sizes and has leg straps with adjustable risers to give you the best possible fit. Ideal for general rope access and abseil, as well as general purpose, work positioning and fall arrest applications. IsoTower Harness – The ergonomic design and arc proof coverings on all its metal components, this variation of the harness is the ideal choice for those working with electrical equipment while in suspension. It includes soft rescue retrieval attachment points on the shoulders, quick connect alloy buckles, and multiple rear tool loops. The breathable mesh fabric it’s comprised of is also sure to keep you dry and comfortable while you’re working. Riggers Harness – Durable, oil and water resistant and comfortable are just a few of the many features and benefits this linesman harness offers. It also has a padded saddle seat for added comfort and is incredibly lightweight. It’s supplied with forged steel hardware for extra support and has central, multi-purpose fall arrest attachment points on its front. 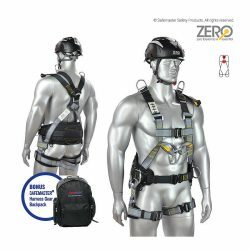 Confined Space & Rescue Harness – With its forged steel hardware, rescue loops on the shoulders, and front and rear D attachment points, this harness is ideal for working in confined spaces. It’s polyester webbing is designed with strength and durability in mind, with padding on the leg straps for comfort. At Safemaster, we’re especially dedicated to providing you with the best possible customer experience at all stages of your journey with us. We strive to treat you, and all our customers, with integrity and unparalleled service excellence that only being in the industry for over 100 years like we have can necessitate. 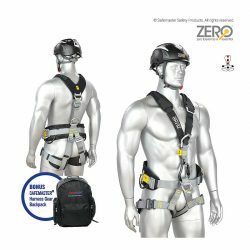 Our team of highly trained professionals is ready and waiting to answer any questions you have regarding our fall arrest harness products and help you make the best decisions for the safety of your workers. Get in touch with us so that we can assist you in the only way that we know how – with professional, honest advice. Be amongst the first to receive great safety articles, case studies, new product release and promotions.